People are spending more time online than ever before and this has affected the way in which they purchase products and services. Easier, more convenient and often cheaper than real world alternatives, ecommerce is at an all-time high. With this in mind, companies are continually striving to find ways in which to benefit from this trend. One such method is the through the use of big data. 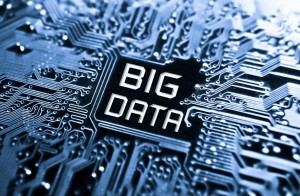 Big data isn’t a particularly new concept but it’s one that is becoming exceptionally important within modern society. The basic definition for the catch all term of big data is any large data set which cannot be processed using traditional techniques. These large data sets represent a wealth of valuable information, across a range of different sectors, whether it be government, finance or business. Specifically in the business world, big data represents an opportunity to not just boost sales but completely change the way in which they are made. With so much information being generated online, data is being collected each and every day and businesses are utilising this information to tailor their services. You have probably already experienced the results of this process, whether it be Netflix recommendations or Amazon’s ‘Customers who bought this item…’ reminders. Even Google utilise search phrases to send personalised and informed advertisements to their users. These techniques may seem relatively simple but they are only the tip of the iceberg in terms of the impact big data could have. One such example of the future we can expect within big data are neural networks. Neural networks have been at the forefront of artificial intelligence for a long time and are fundamentally the method in which a computer learns. These computer models are capable of advanced learning and pattern recognition and have to ability to recognise useful information within huge amounts of abstract data. Put simply, these machines can see patterns where humans can’t and the knowledge that can be gained from this will open up a world of possibility. As analysis of big data changes it is likely that the method in which the data is collected will also change. Much of the emphasis is placed on quantitative information but as technology advances we are likely to see a shift into qualitative data. So for example, instead of collecting information on what people purchase you could gather information from product reviews or even social media. This has already been seen recently within cutting edge language processing software programmes such as Pluribo, which employs artificial intelligence technologies that scan user reviews and summarizes them down into a single paragraph. Another way in which qualitative information can be used includes image recognition. This technology is currently in its infancy but has the ability to match real world and online images with matching or similar products. Therefore the hypothetical implications of this mean that in the future, you could snap a picture of a piece of clothing or a DVD and the item will be automatically shipped to you. This could be especially useful for general grocery shopping as a picture of your cupboard or refrigerator could automatically generate a shopping list. The overall effect of big data on consumerism is already being felt and is likely to be significant. We are already accustomed to smart shopping and online store recommendations. 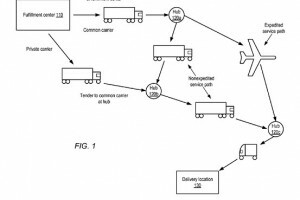 Companies like Amazon are already working on the next step in the form of patent they’ve recently been granted for ‘anticipatory shipping’ were they will ship products they expect people to buy before an order has been placed so that when it is they can deliver it the same day because it’s already on a delivery van in their neighbourhood. Overall, customers can look forward to an online shopping experience that is not only faster and easier but also much more intelligent. This entry was posted in Observations & Answers on July 29, 2014 by Jamie.